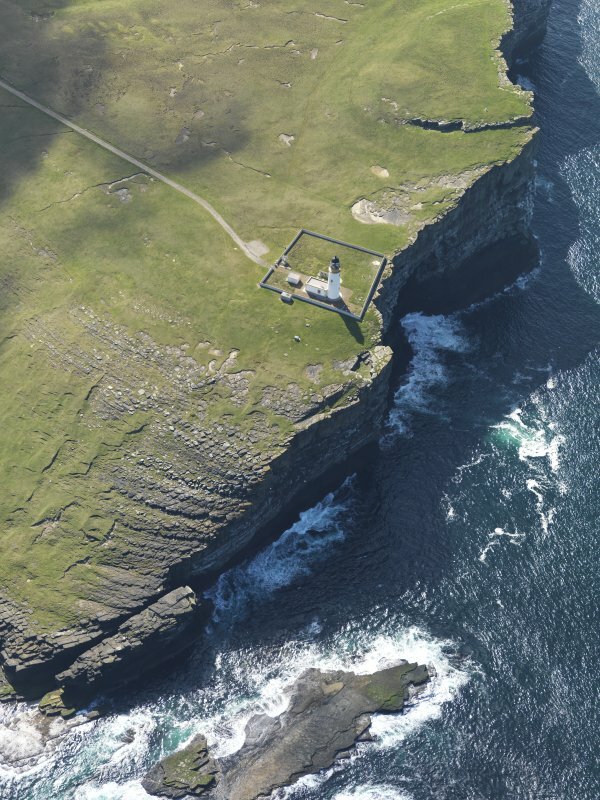 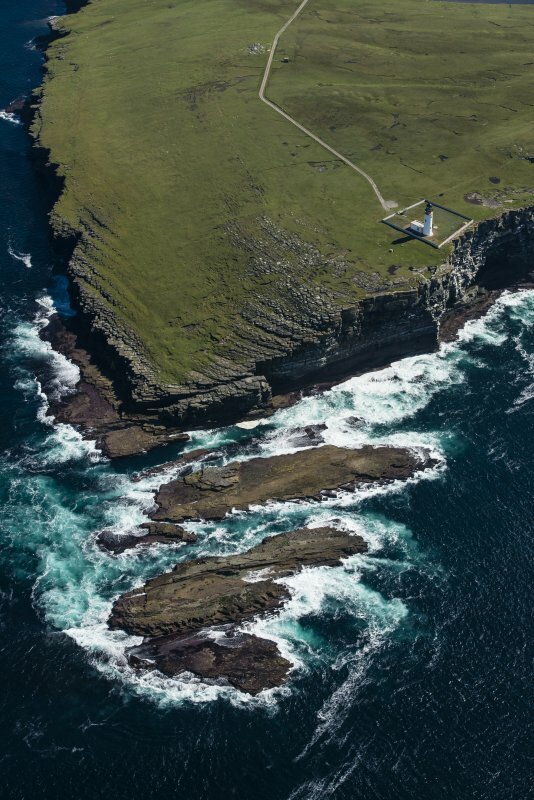 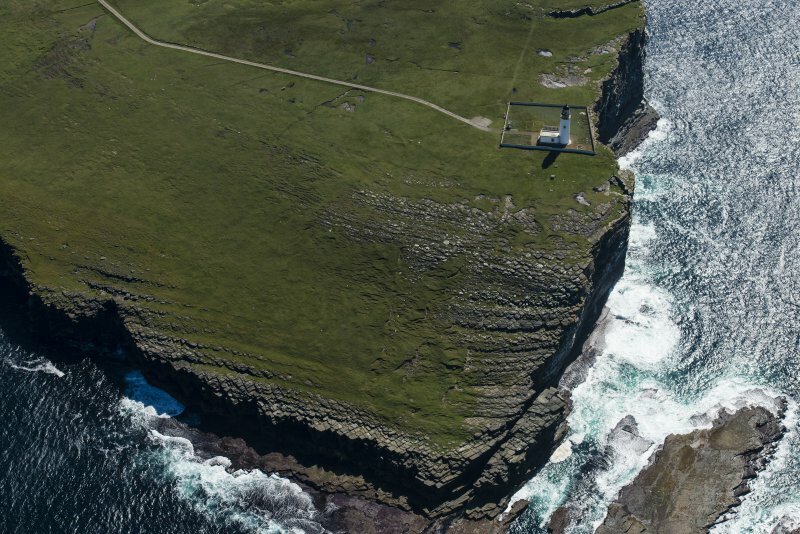 View of cliffs from N.
Oblique aerial view centred on Noup Head lighthouse, taken from the NW. 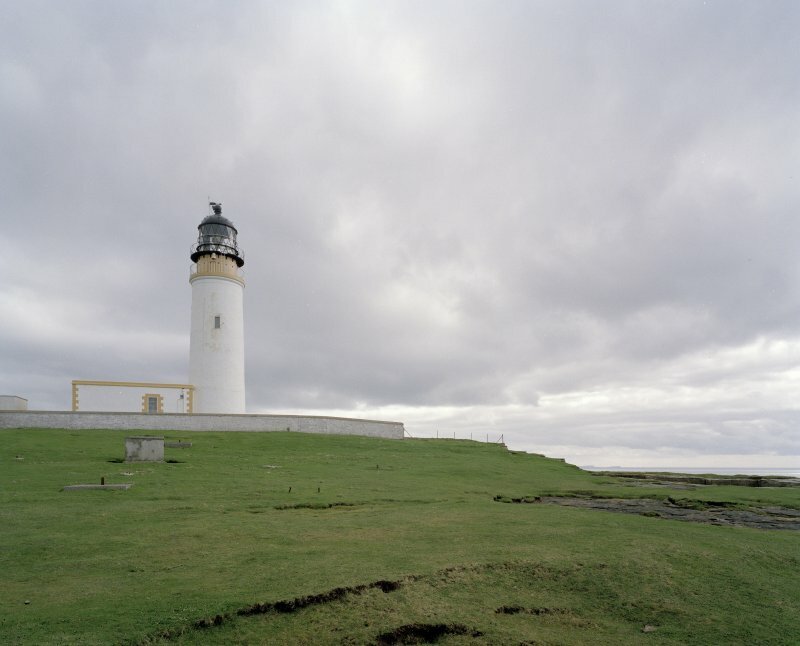 (Location cited as HY 392 499). 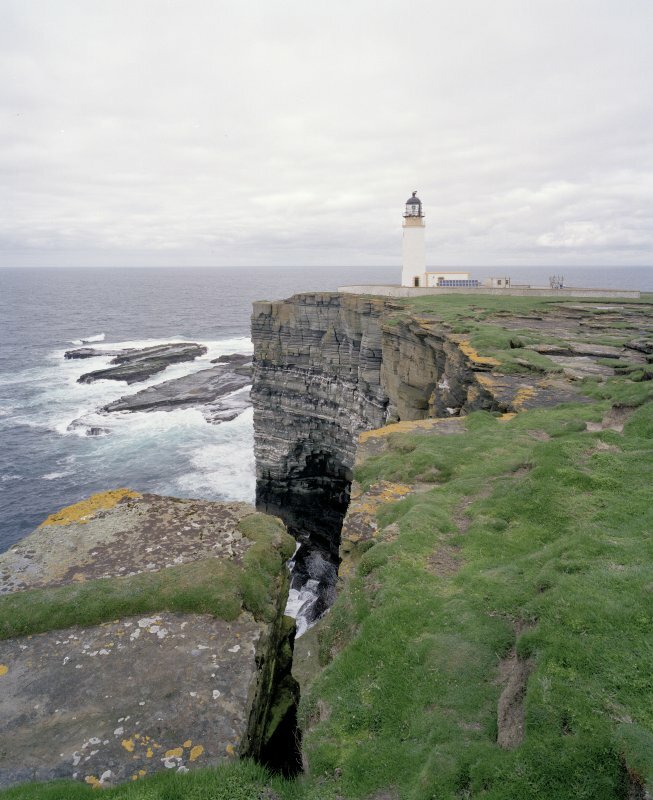 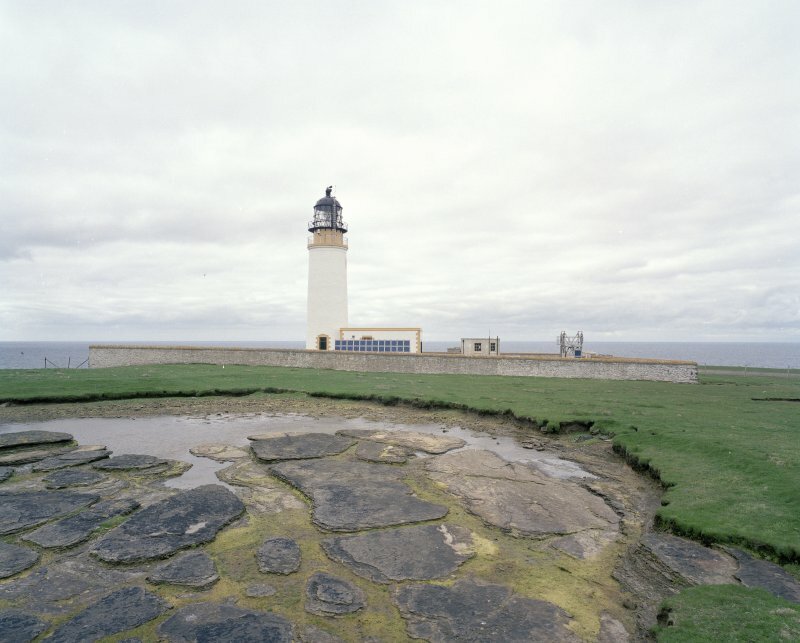 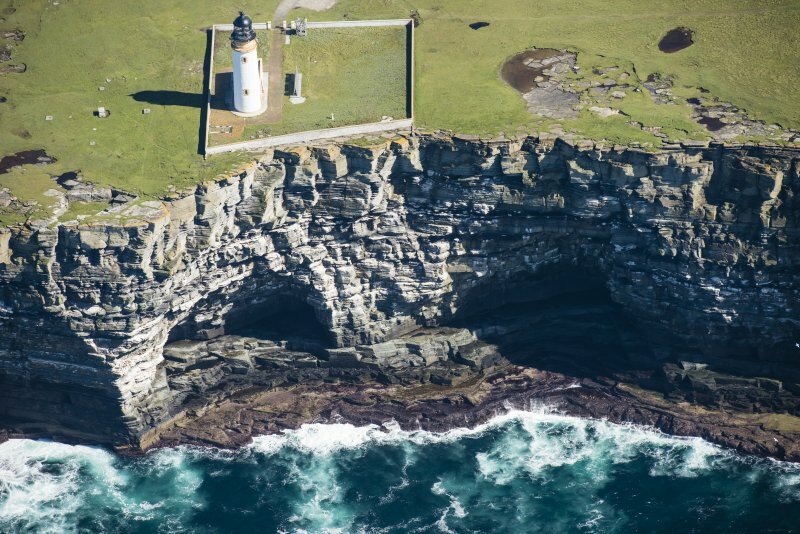 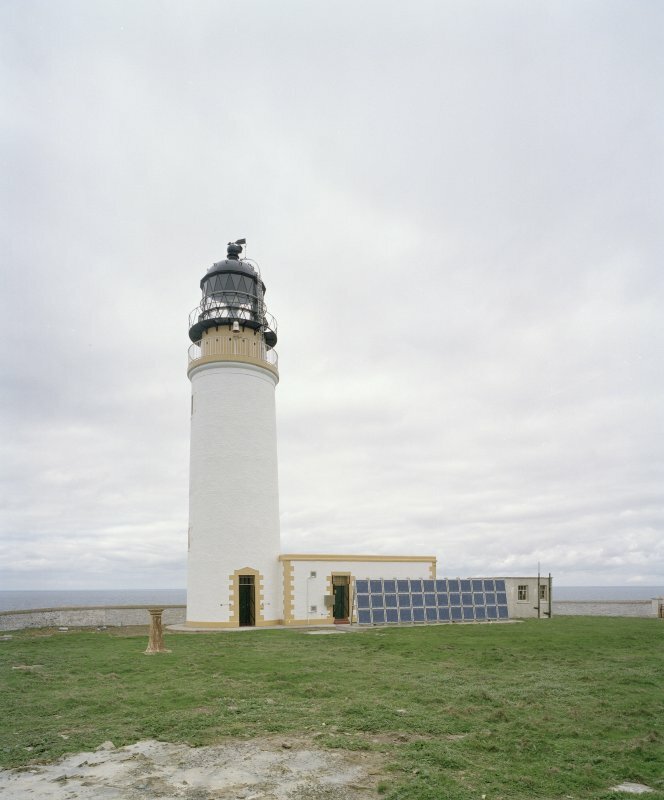 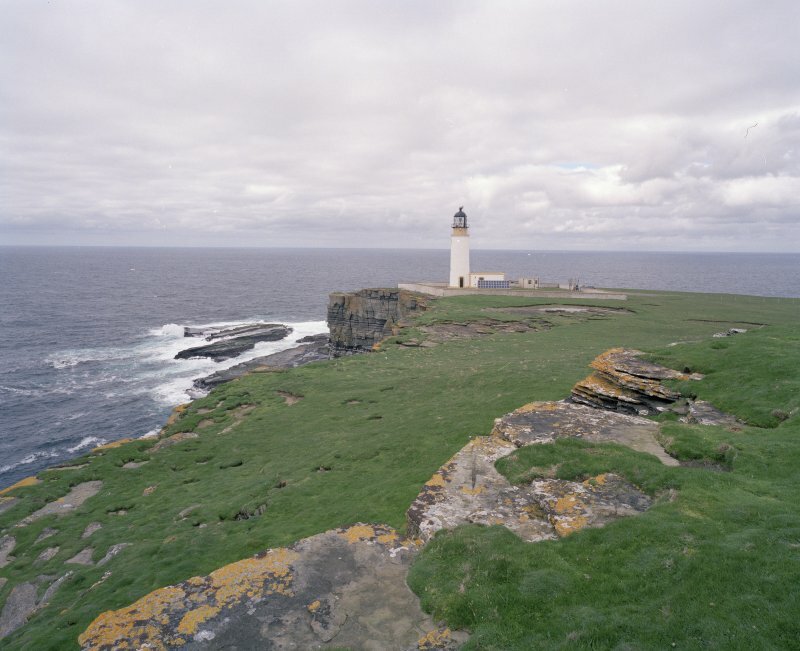 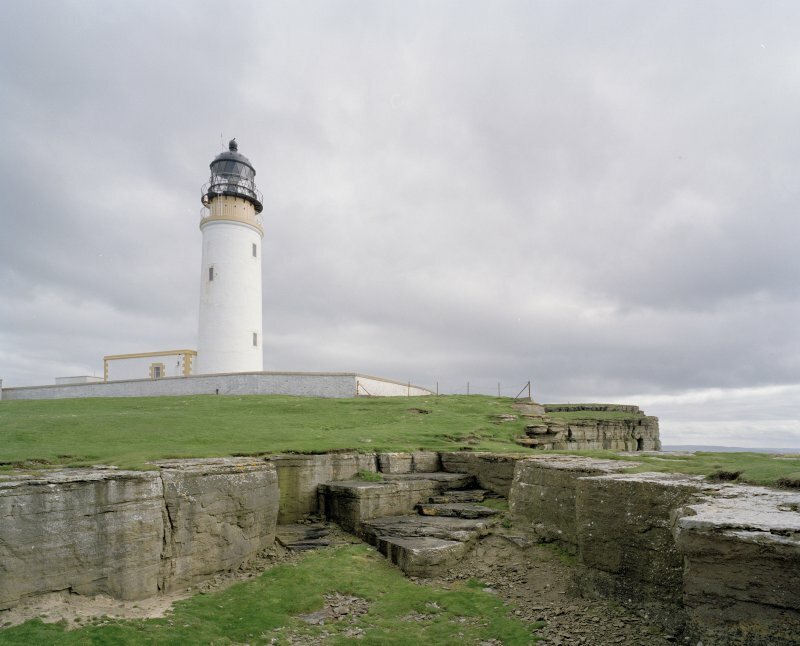 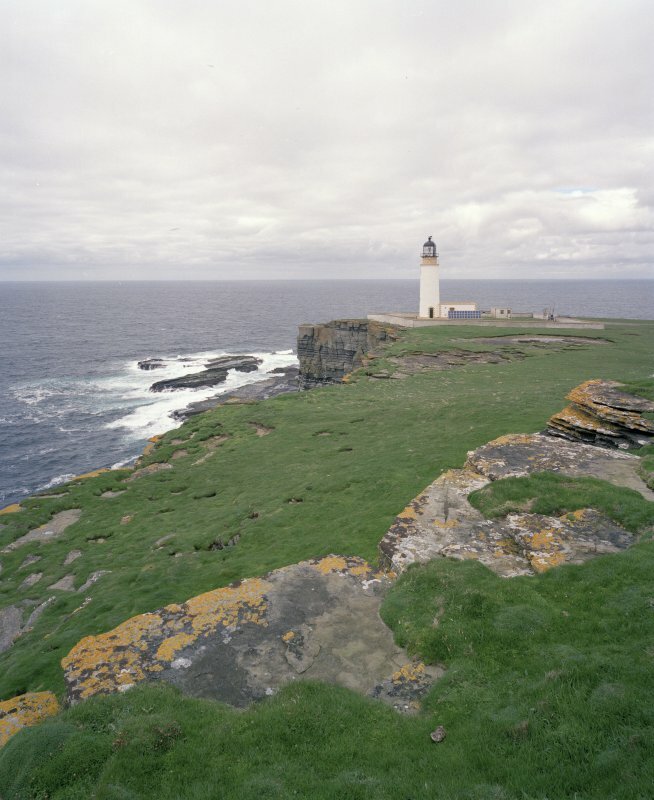 Noup Head lighthouse, Westray, completed 1898 by engineer D Alan Stevenson. 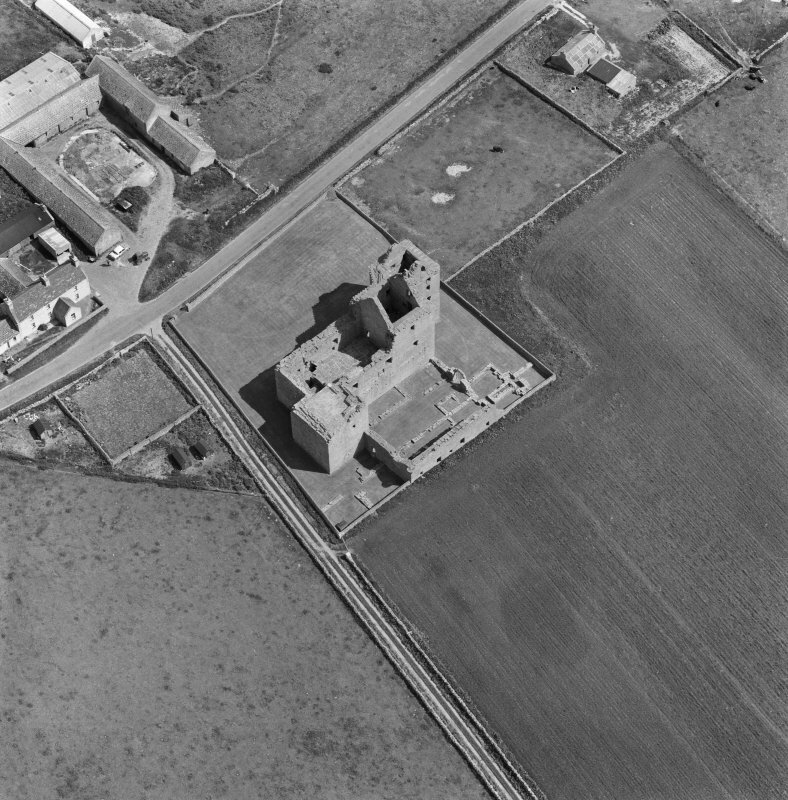 A short tapering circular section tower with walkways at two levels. 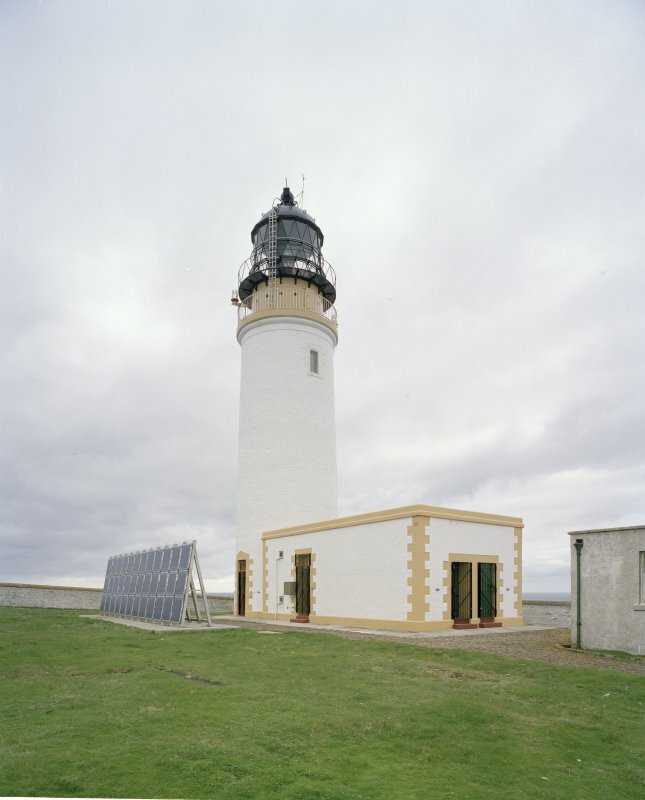 There are single-storey, flat-roofed keepers' houses, with prominent quoins. 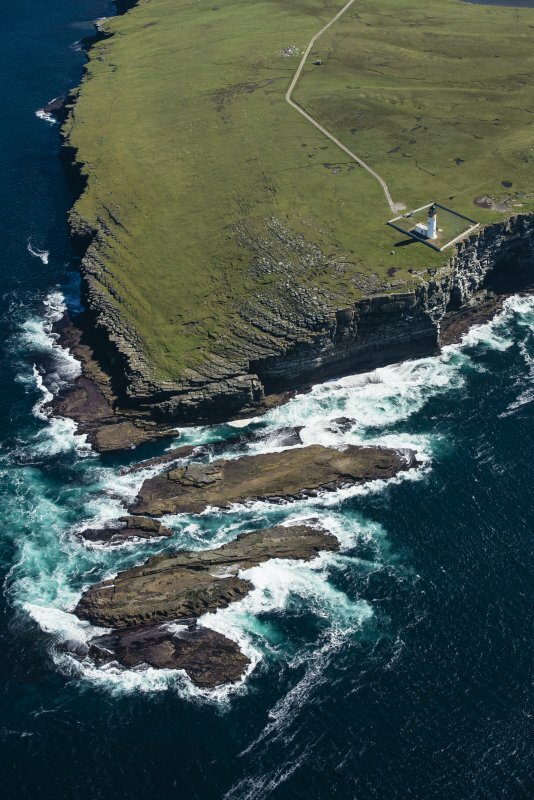 Unmanned since 1964. 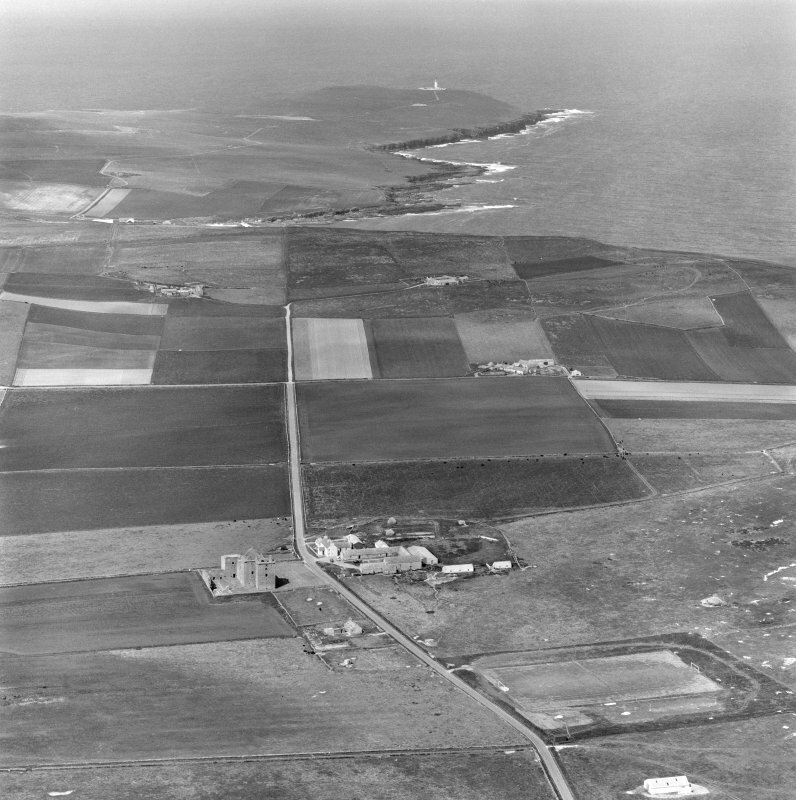 The semi-detached single-storey keepers' houses mentioned by J R Hume are depicted on the 2nd edition OS 6-inch Map (Fife and Kinross, 1901, sheet LXXIV), but have since been demolished. 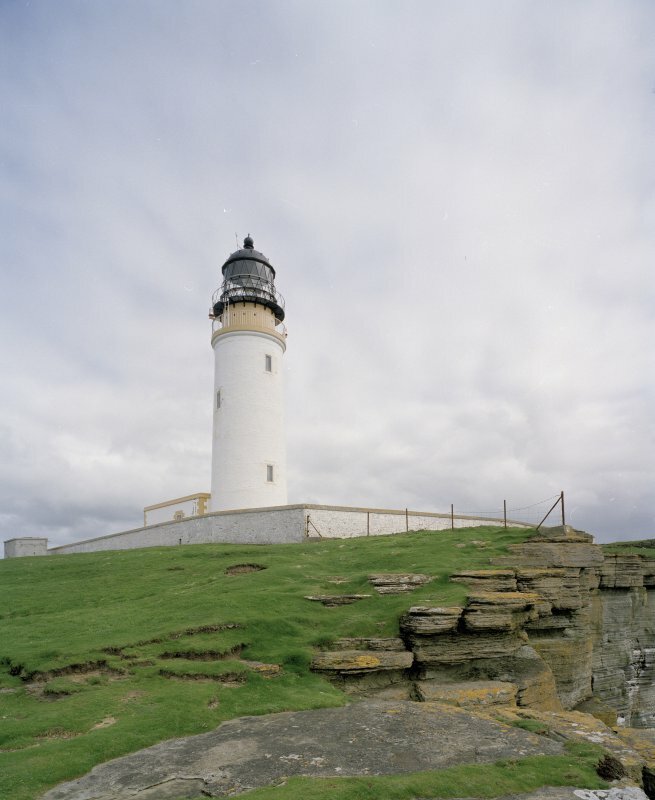 Designed by David Stevenson and built in 1898, the Noup Head lighthouse provides warning of the North Shoal. 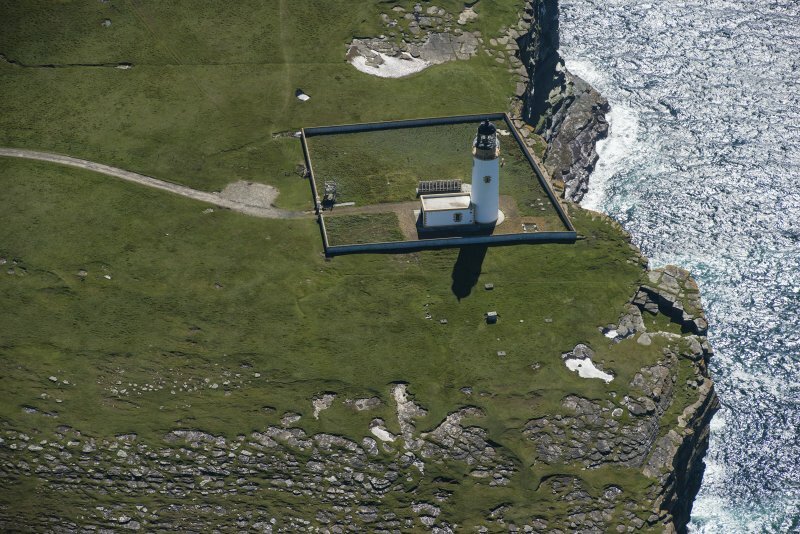 The light has been automated and the keepers cottages are sealed up. 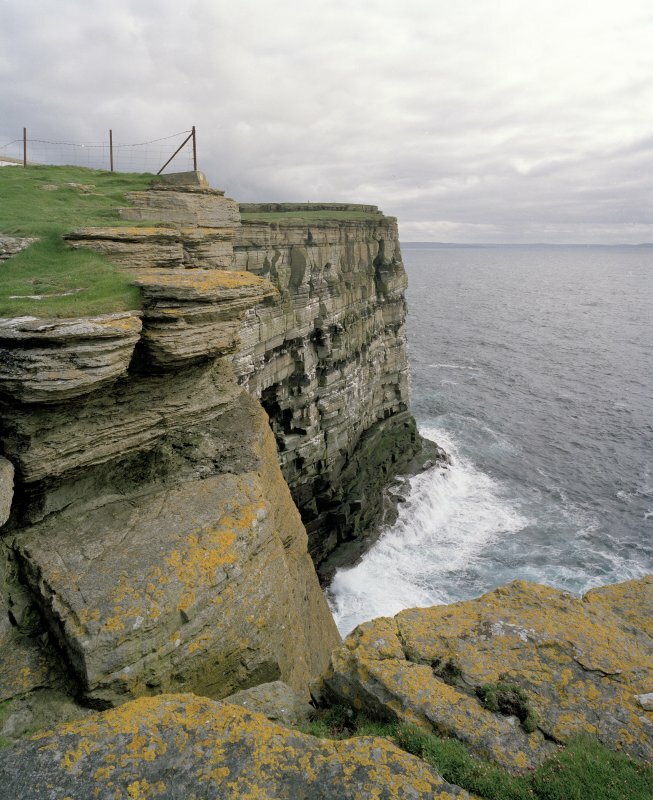 The surrounding area is a designated RSPB sanctuary with one of the largest colonies of kittiwakes and guillemots in Britain.